A well-known international manufacturer of turbo systems with a manufacturing operation in the UK was struggling with moving work-in-progress between multiple machining operations within their large factory. This was made especially difficult as some parts cannot be easily loaded onto transporters to move them between operational centres. 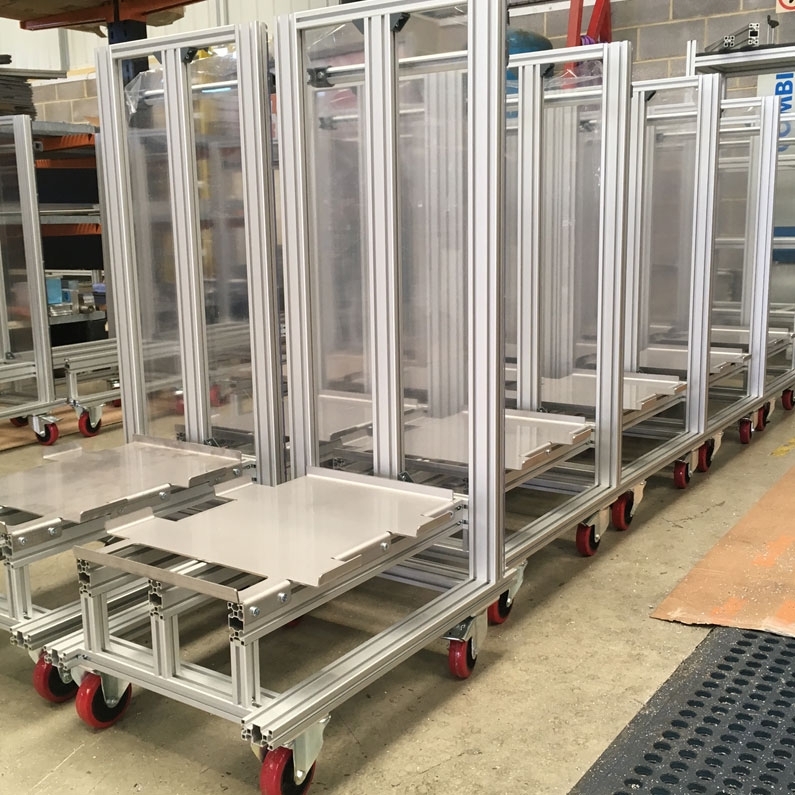 This bespoke set of MiniTec trolleys soon had goods moving around the factory safely and smoothly, with a sturdy and ergonomic design for ease of use and movement. We designed and assembled over 50 of the trolleys using our 30×30 aluminium profile system as the basis of the design. Each trolley can carry up to eight trays of parts with a maximum weight of 60 Kgs – a simple solution to a potentially costly and time-consuming handling issue.